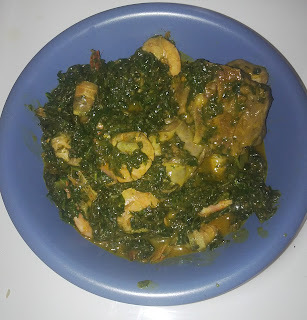 There is hardly any Nigerian who has not heard of Edikaikong, a soup native to the people of Cross River and Akwa Ibom states in Southern Nigeria but eaten across all the regions of the country. This soup is made with fresh vegetables with water leaf being the primary one. It is one soup many Nigerians outside the shores of Nigeria often crave to eat. 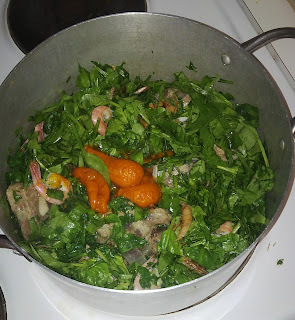 Getting the right vegetables to make Edikaikong may be difficult outside Nigeria but one can make its look-alike. 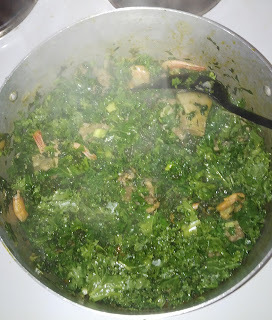 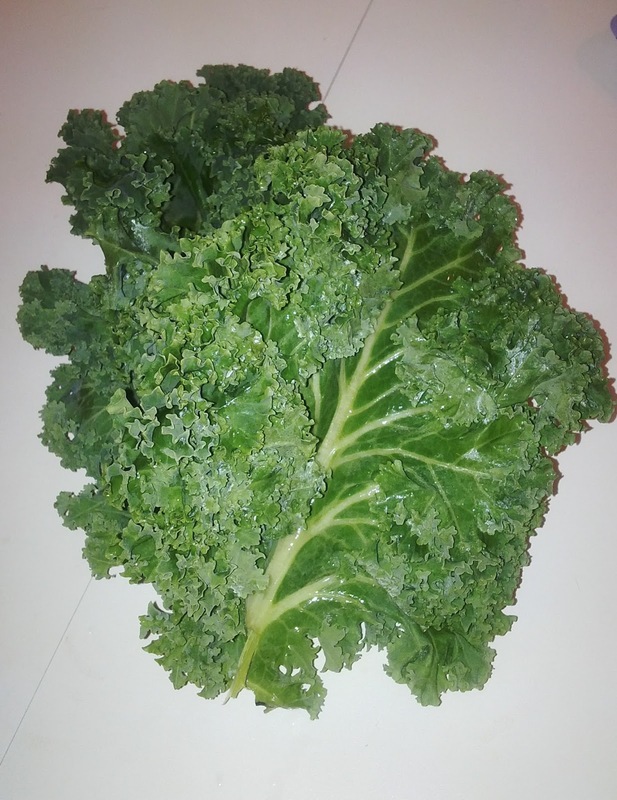 It occurred to me that I could use Spinach and Kale to replace Water leaf and Ugu respectively after using them at different times for different soups. 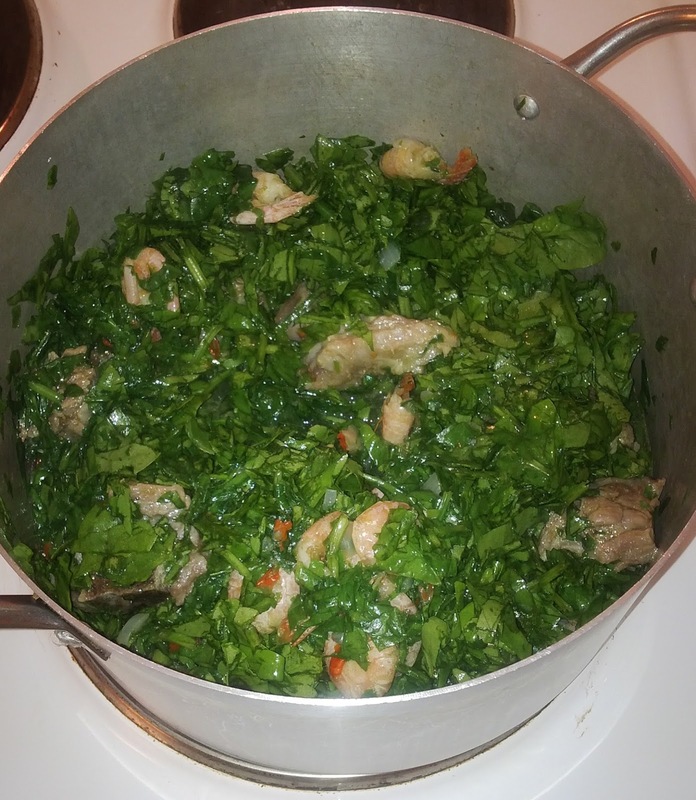 Just like I do whenever I intend adding a twist to any of my recipes, I went online to research the vegetables and their use in Nigerian recipes and saw that Dunni of Dooney's Kitchen had used them in the very manner I intended to. 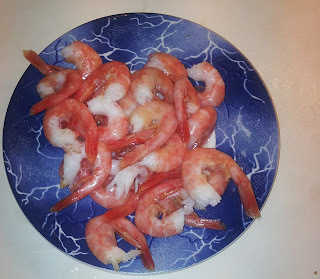 That gave me the guts to try it out. 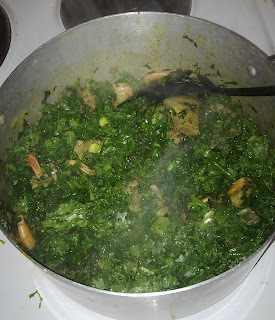 So here is my Kale and Spinach Vegetable soup; an Edikaikong's look-alike. Luckily, this look alike tastes just as delicious and will make you feel just as good as the version you are used to eating in Nigeria. 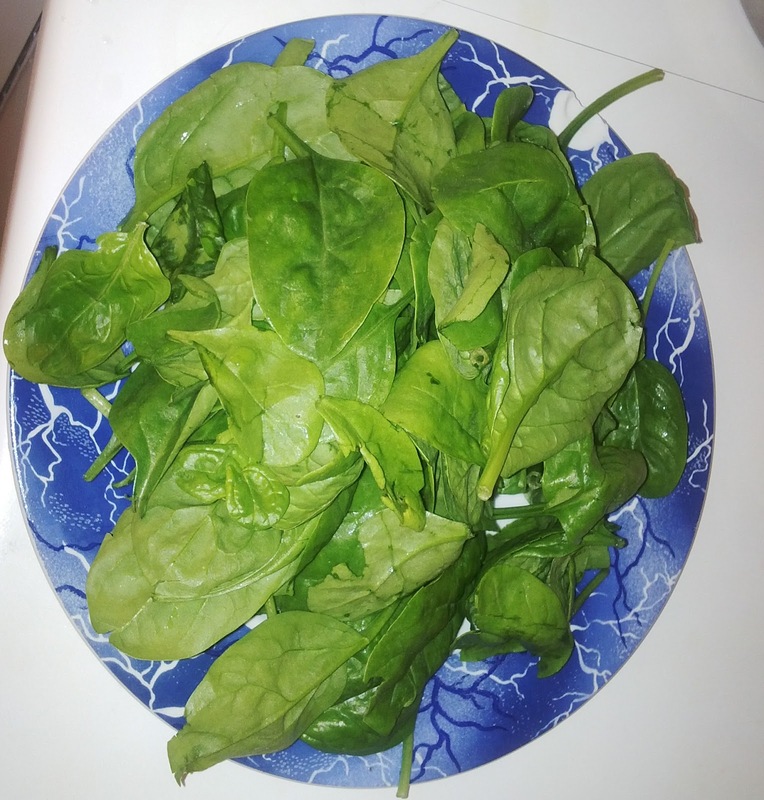 Boil the meat with salt, pepper, chopped onions and as little water as possible because spinach just like water leaf contains a lot of moisture. 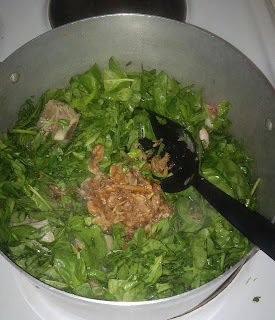 So you need to control the water content of your meat stock else you end up with a very watery soup. Wash and clean your prawns and whatever other protein source you intend adding to your soup. 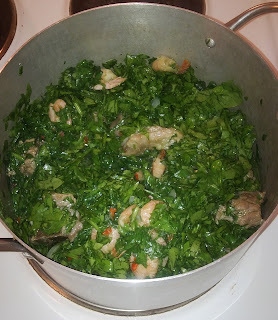 When the meat must have been cooked, add the prawns and then the chopped Spinach. 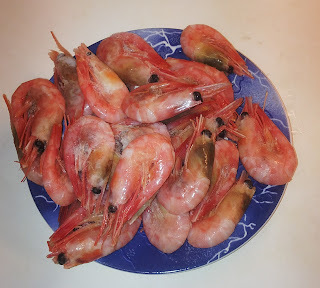 Prawns are not meant to be cooked for long lest they become hard and almost tasteless. 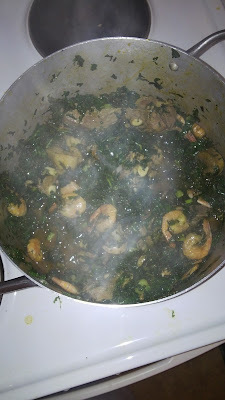 Let the Spinach simmer a little then add the palm oil, crayfish and whatever other protein source you wish to add, and let the mixture cook at medium heat for about 5 minutes or till the spinach is wilted. You may choose to be stirring the mixture at intervals. Do not worry if the water seems very small; Nigerian vegetable soups are known to not be watery, besides the spinach leaches water into the soup so if you are misled to add more water at this stage, you will very likely end up with very watery vegetable soup. Add the chopped Kale when the spinach is properly wilted and stir in. 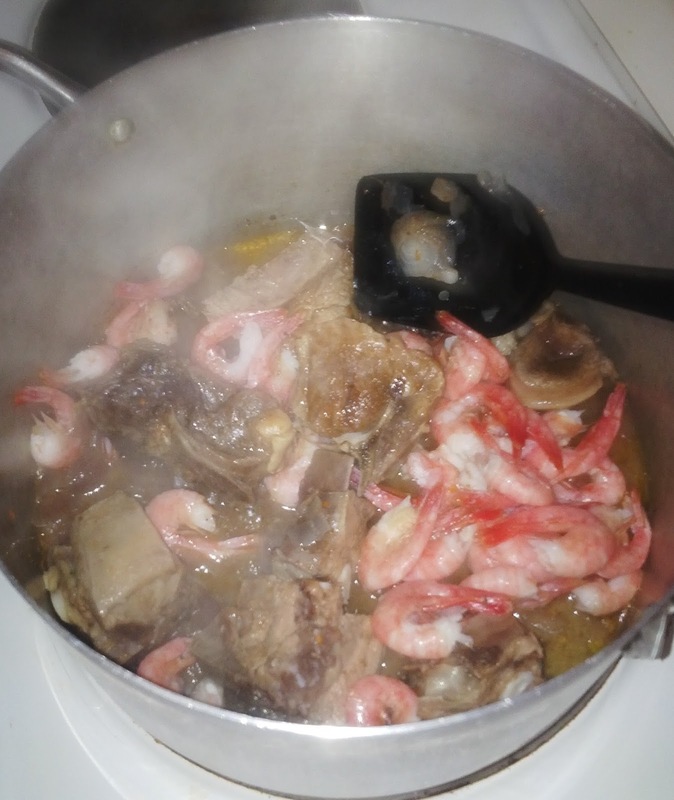 Depending on the quantity of pepper and salt you added to your meat stock, you may need to add more salt and pepper to your taste at this stage. The soup; plated and ready for consumption.